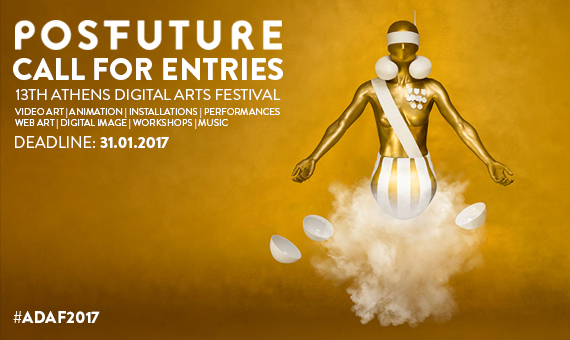 The 13th Athens Digital Arts Festival (from 18th to 21st of May 2017) is launching the call for entries for 2017 and invites you to look together with us towards the #PostFuture. In the late 90’s Negroponte stated that “the digital revolution is over”. Almost two decades later and having accepted that the digital culture has been stabilized into our everydayness, we are moving forward to a most abstract creation. This new futuristic lifestyle is reflected from the coherence of the ‘real – virtual’ boundaries into a replica of the physical world where everything is countable in digits, therefore simplified and transparent. Yet is post digital the real progress? Exploring this blurry future, we invite artists to ‘transcend’ digital culture and exchange opinions under the theme #PostFuture. The deadline for the submissions is 31.01.2017 . At the same time, our goal is to involve in this interesting and lively conversation all that share the same curiosity with us about our lives in the #PostFuture. The interaction with a constantly increasing part of the active residents – and visitors – of the city is a primary desire and direction of this year’s Athens Digital Arts Festival. We are now moving into a new, more open and interactive relationship with our audience.